Balancing work and finding gifts at the last wee hours in the cold wintry season can be an exhausting task. We like our gift shopping to be calm and easy. 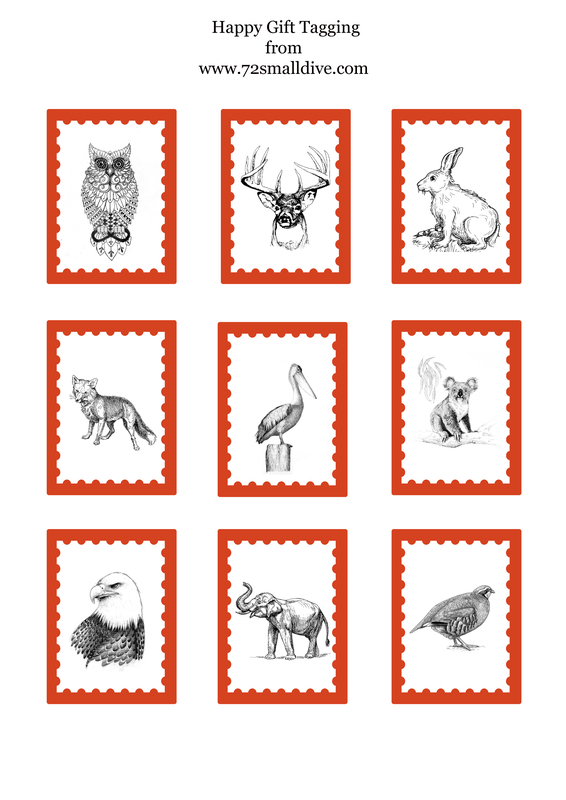 Thus we have designed a set of animal gift cards which we are certain will help add that personal touch to your gifts wraps. To complement with the tips that ViTRINE has been dishing out, on the use of brown parcel paper as gift wraps, we have designed these tags in brick orange borders! Yummy! You may download the A4 size gift tag patterns here. We recommend using a white or ivory card paper (200 gsm and above) for these print cards. Start downloading and enjoy printing now! !